Ideal for cleaning courtyards, streets, bicycle paths, parking lots, etc. 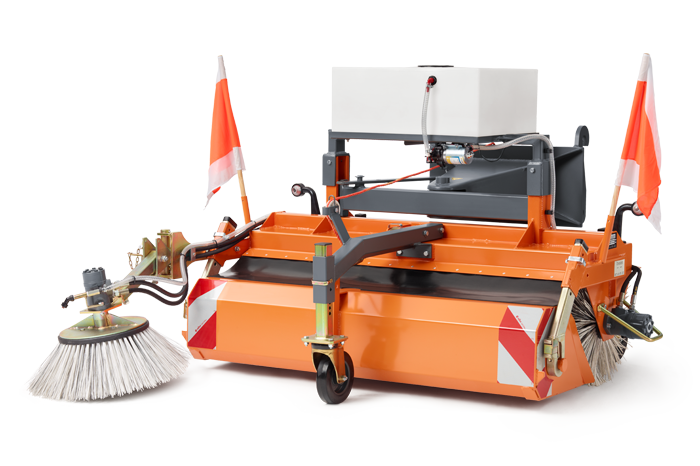 Sweeping roller made of polypropylene, Ø 520mm. Drive system via gerotor engine. Drive: Gerotormotor – compact motor provides high torque at low rotational speed delivery. Sweeping role, Ø 520 mm. Wheels: Ø 200 x 50 mm. side brush weight: approx. 30 kg. All options are available for all variants of the equipment from 1250 to 2300 mm working width.